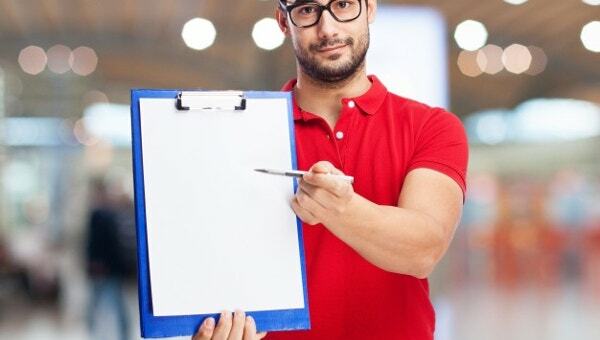 Checklist sums up all the tasks or objects that need attention while planning for a work or a day schedule. Teachers need to handle many tasks at a time; therefore, to remember everything, they often need a . 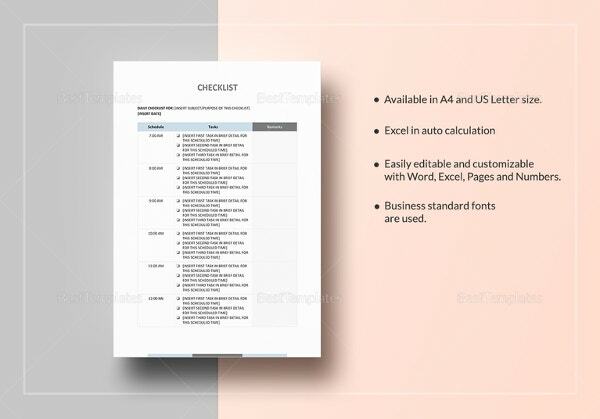 A few checklist templates contains all the objects or things that need to be done in a structured manner, so that nothing is missed out. You may also see Checklist Samples. 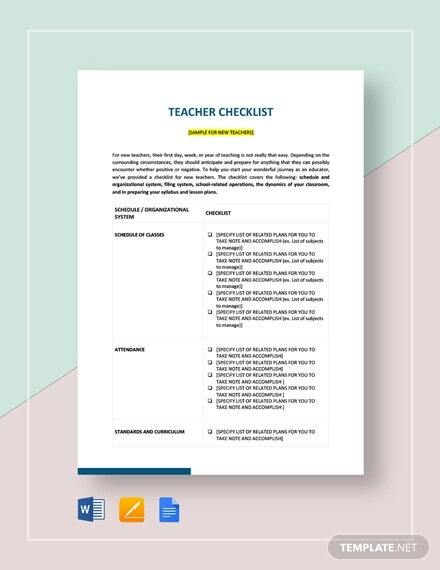 There are numerous teacher checklist templates available online that can save time and effort needed in designing a template and can prove to be handy. 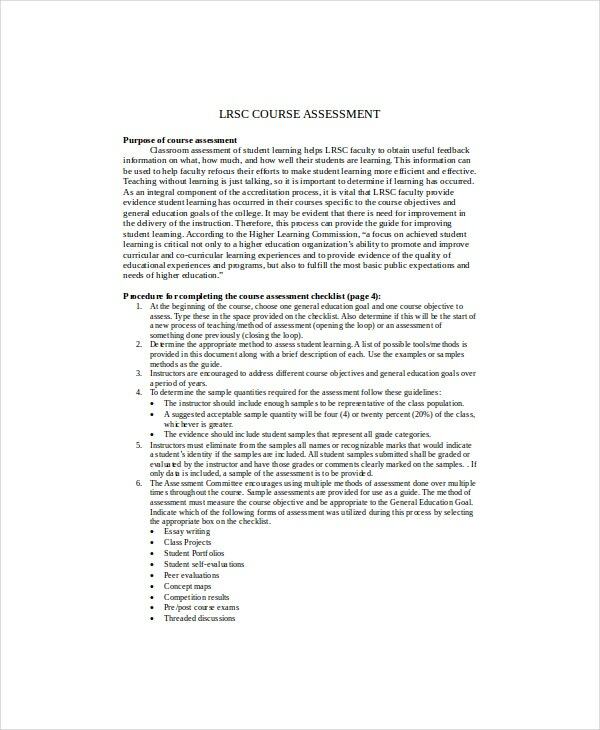 Available in word format, this template has three methods of evaluation and introductory note on using the assessment checklist. One can download the template, edit it easily, and get it printed later. This checklist is apt for analysing a student’s performance on the basis of observations made in the classroom. 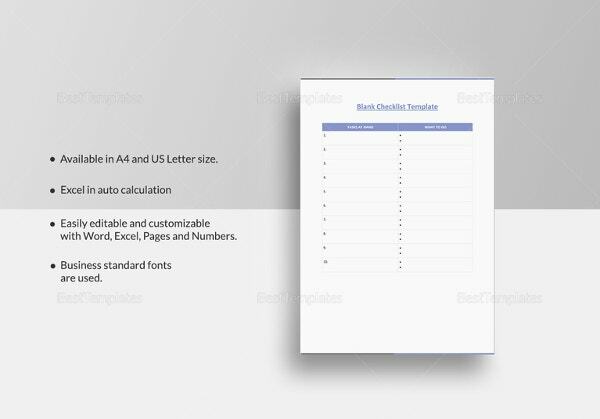 The checklist consists of blanks for filling necessary information like name, class , date, and time along with a comprehensive table of aspects on which the marking is being done. 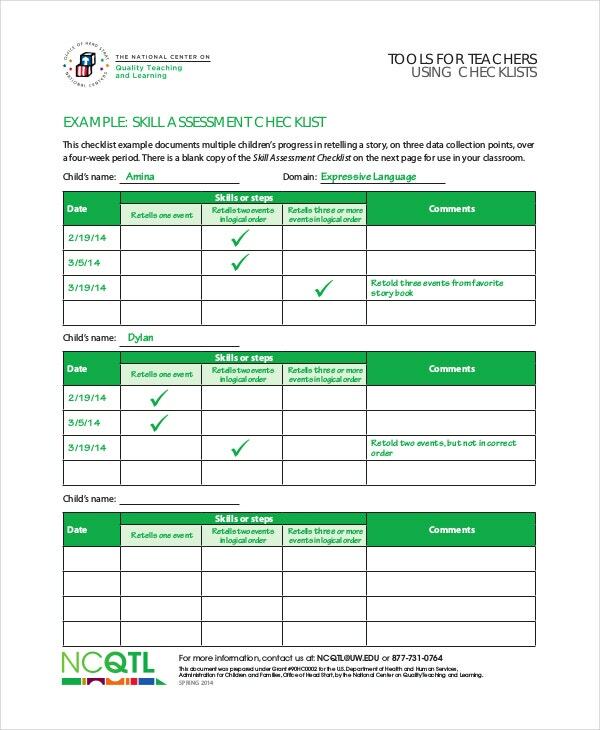 Easily downloadable, this template is best suited for a full assessment of students. The template is available in Word format and can be according to your needs. This student information sheet template covers all the necessary information needed for full assessment of students. This is a detailed student behaviour checklist template that has blanks to be filled by teachers on the basis of their observation. 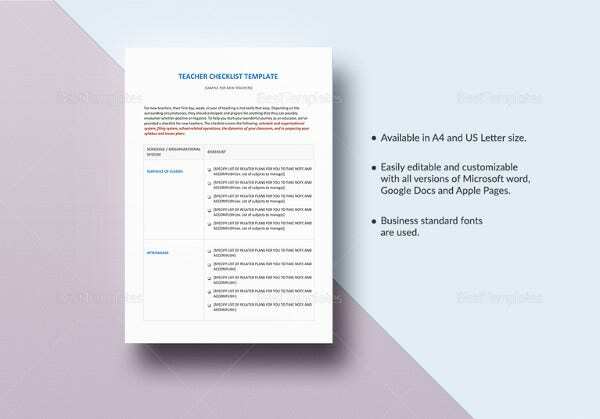 The teachers can fill in the template on various parameters mentioned on the template and get it printed later. 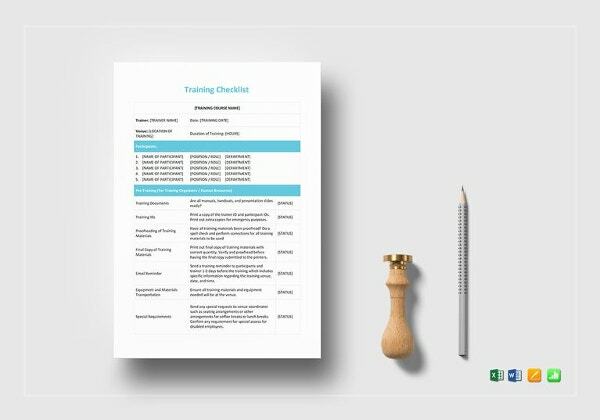 This checklist has been designed for higher authorities who provide checklist of tasks that are to be done by teachers working under them. 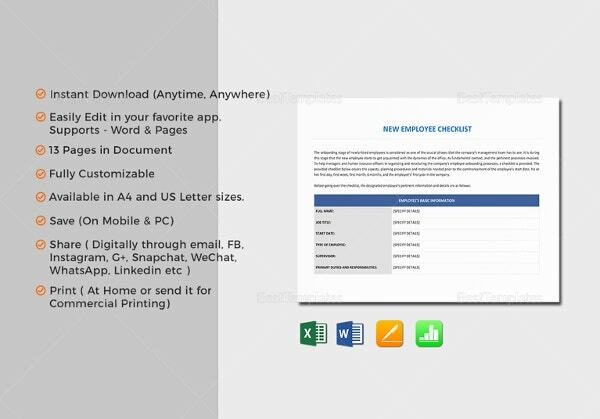 This is a full assessment checklist template for teachers that can be downloaded and edited according to your preference in Word. You can also see Project Checklist Templates. These templates prove to be very useful for teachers as they can be downloaded, edited, and printed easily. 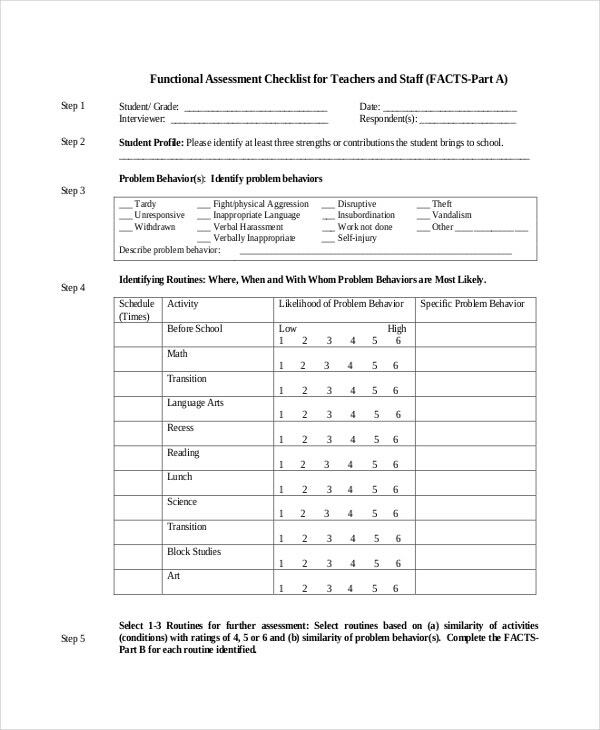 These blank student checklist templates can be filled and leave no scope on missing any information that is important for assessment. 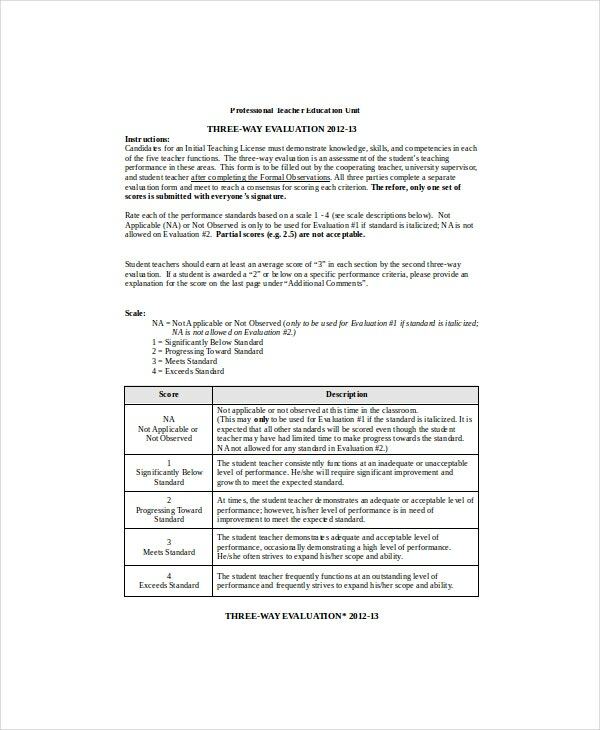 Be it student behaviour templates, full assessment templates or evaluation template, all of them are available in Word format for easy editing and printing.